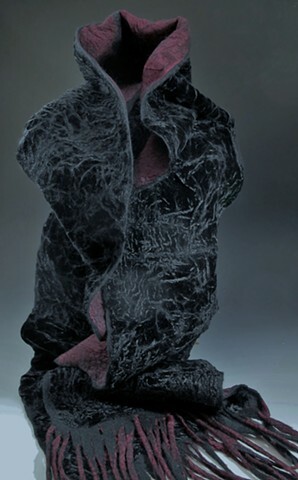 My felt pieces always include super fine merino wool, both from my own flock and some Australian. 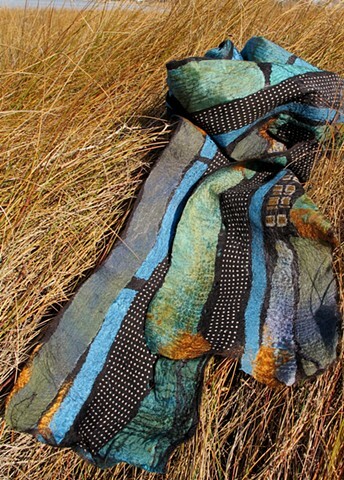 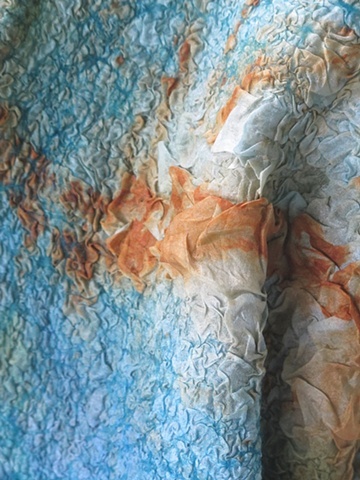 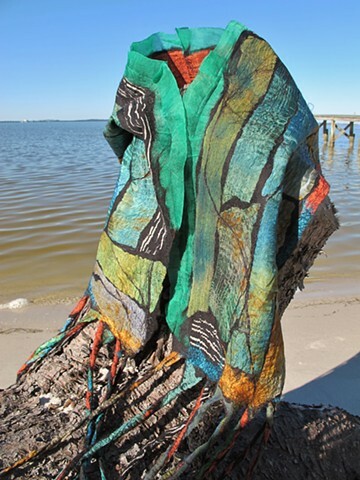 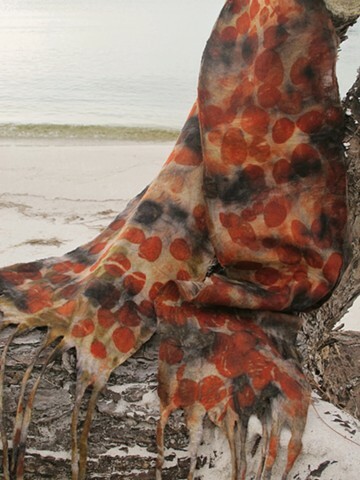 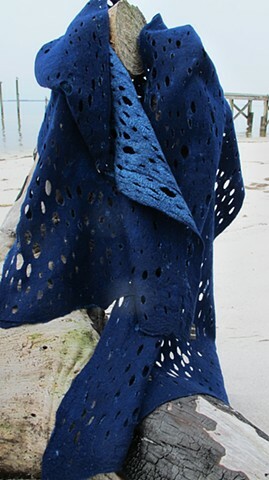 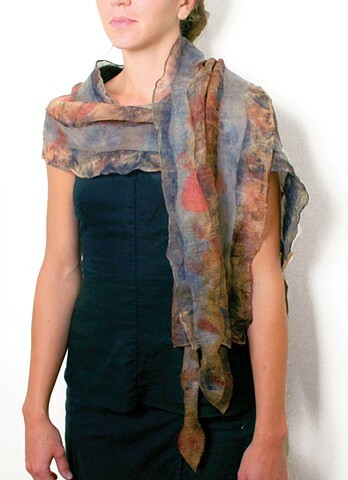 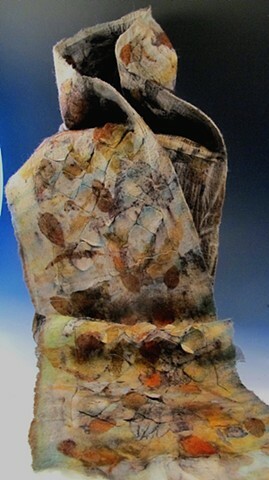 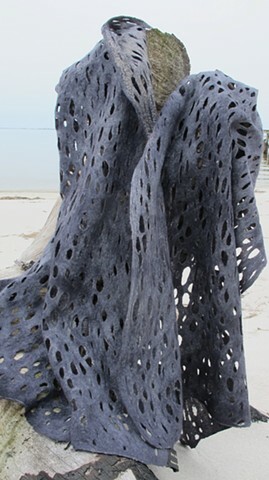 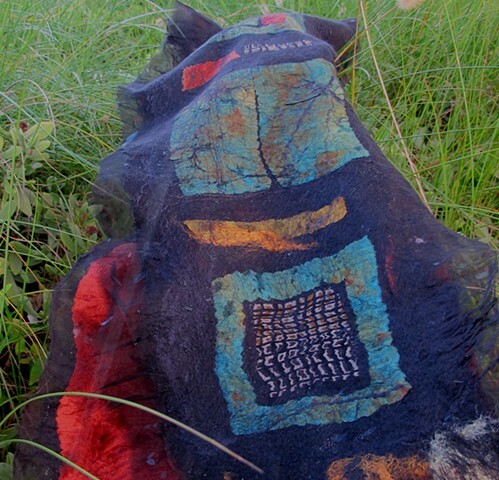 Silk and merino wool are often fused together using the technique called "nuno felting" to produce an organic and original piece of wearable art. 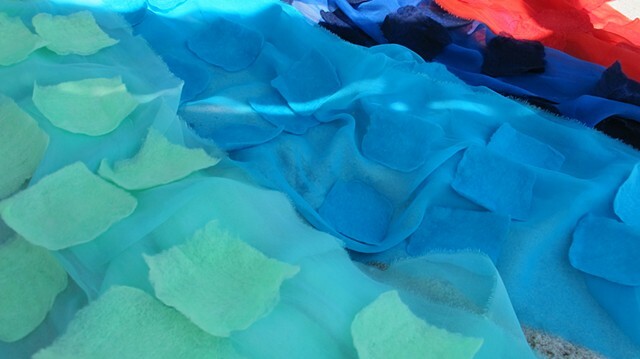 Fiber content may include: Silk (Crepe, Habotai, Organza, Printed, Velvet, Tussah), Merino Wool, Bamboo. 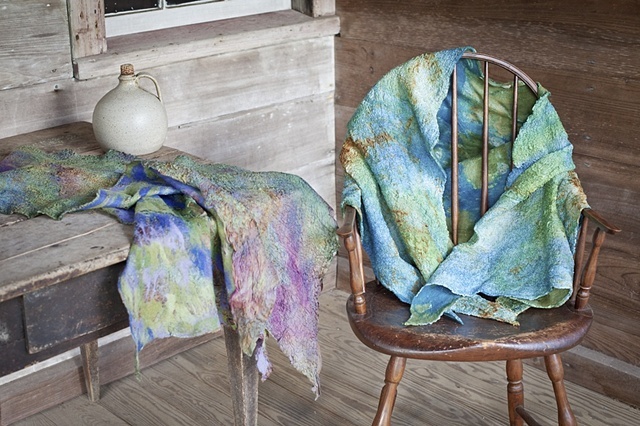 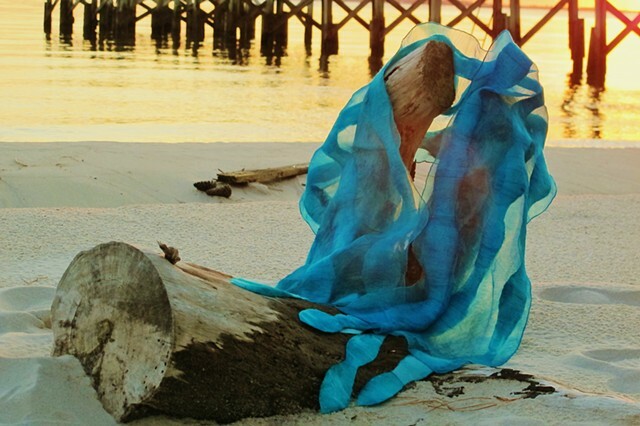 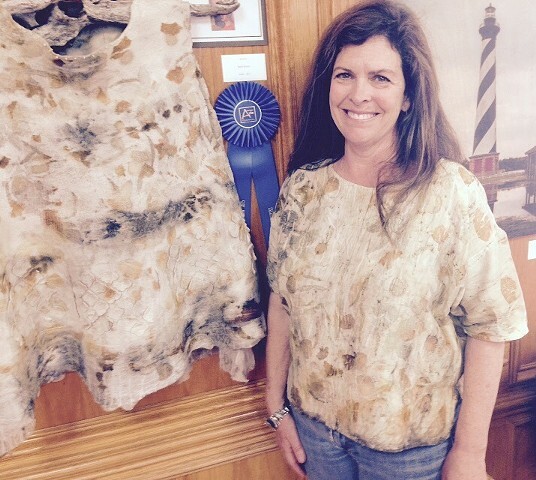 Most silk was uniquely dyed by me, with some wrapped around rusted objects to "rust dye" for added interest and rich colors; a technique that happens very easily when you live on an island along North Carolina's Outer Banks. 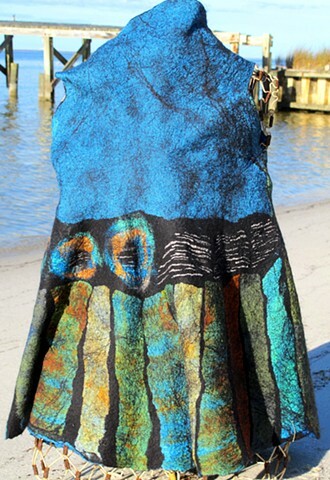 Silk Organza and Merino Wool "Wave" Felt Wrap (This one has sold. 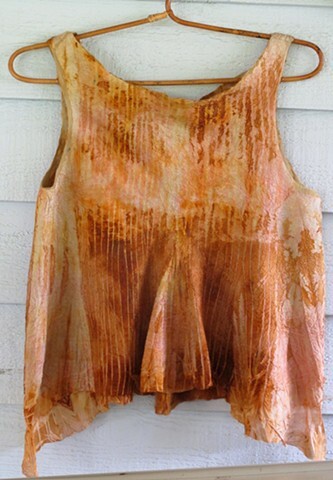 But also available in "Cabernet" & "Aqua". 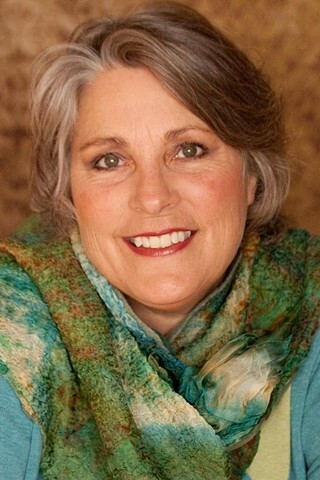 Photos upon request). 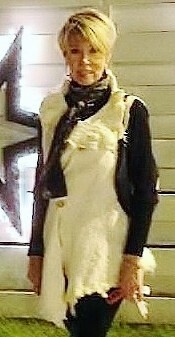 Deb's so pretty in her B-day Nuno scarf.